The rand strengthened by 0.94% against the dollar in early afternoon trade on Thursday, with economists saying the relative strength was caused by greater market certainty after the US Federal Reserve announced an interest rate hike on Wednesday. The local unit was trading at R13.18/$ at 13.28 on Thursday, up 0.94% on the day. The Fed's announcement that it was hiking its benchmark short-term interest rate a quarter percentage point came after the JSE closed on Wednesday. The Fed also indicated that two more increases were likely this year. "With the Federal Open Market Committee (FOMC) news already priced into markets before the meeting, trading patterns suggest the rand on a near-term basis could attempt to return to R13/$, and in the immediate term it could move below R13.15/$," said Investec's chief economist Annabel Bishop. "However, longer-term (third quarter 2018), the risk of depreciation towards R14/$ remains, if perceptions of FOMC communication become more hawkish." "While we forecast no hikes in South Africa’s repo rate this year, we expect a 25 basis points rise in January 2019 and another in March 2019," said Bishop. Andre Botha, senior currency dealer at TreasuryONE, said the Fed hike of 25 basis points was widely expected. "The rand seems to have come out of the Fed meeting 'smiling' and should be on the front foot with a little trepidation later this afternoon as we approach the European Central Bank (ECB) meeting," said Botha. The Fed announced that they had revised their three hikes for 2018 to four hikes in 2018, with the expectation that a December hike could be in the offing." 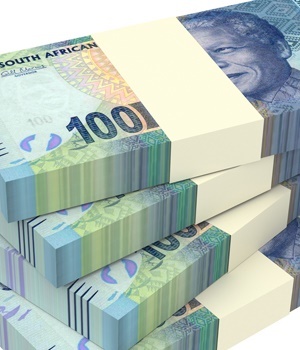 "The reaction at the extra hike was to send the rand above the R13.40/$ level as markets saw this move as extremely hawkish, but as Fed chair Jerome Powell spoke in the aftermath of the decision, the market was sent mixed signals," said Botha. "With one uncertainty out of the way, the rand has returned to strengthening as the Fed did not come out full guns blazing. The feeling is that the uncertainty that the Fed brought to the market kept the rand and other emerging market (EM) currencies under pressure, and now that bridge has been crossed, a calmer market could be the order of the day," said Botha. The only hurdle that stands in this "calmer" market, in his view, is the European Central Bank (ECB) meeting later on Thursday.